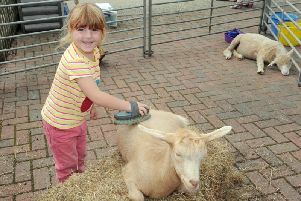 A day out for all the family will be coming to Grafton later this month. The Grafton Races and Family Fun Day sponsored by Michael Graham comes to the area on Sunday May 20. The event will take place at a new venue of Edgcote Racecourse north east of Banbury having been forced from the previous venue at Whitfield Race Course due to the HS2 development. Michael Graham is delighted to be a sponsor of the Grafton for the eleventh consecutive year, and if you’re a new-comer to point-to- pointing, you’re in for a treat. Described as amateur horse racing over fences, at the Grafton gates open at 11am with the first of three pony races at 1pm, followed by the first horse race at 2pm. Seven horse races will be run over the afternoon. of prey, a licensed bar, artisan food market and shopping opportunities galore mean you certainly don’t have to be a point-to- point purist to enjoy the day. Entry is £10 per adult (children under 16 go free) an visitors can get 20 per cent off the ticket price if booked in advance. For more details visit www.edgcoteraces.co.uk.